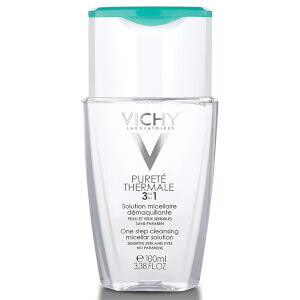 Vichy Purete Thermale 3-in-1 Makeup Remover Micellar Cleansing Wipes instantly cleanses in one step. This makeup removing micellar cleansing wipe gently removes impurities and makeup from the face and eyes, even waterproof makeup. 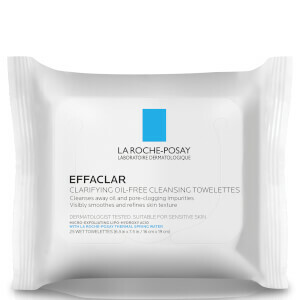 This makeup removing wipe contains Vichy Micellar Technology and Vitamin E to gently and effectively remove impurities. As a result, skin feels soothed and fresh. 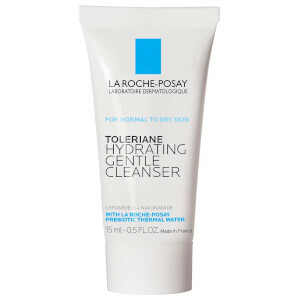 Day after day, skin is softer and more comfortable. Vichy's makeup wipes are paraben-free, fragrance-free, allergy-tested, suitable for sensitive skin and eyes, and tested under dermatological and ophthalmological control. Wipe without rubbing face and eyes. No rinse needed. Reseal pack to prevent remaining wipes from drying out. Aqua / Water / Eau, Isohexadecane, Dicaprylyl Ether, Hexylene Glycol, Phenoxyethanol, Sorbitan Laurate, Acrylates/C10-30 Alkyl Acrylate Crosspolymer, Tetrasodium Glutamate Diacetate, Propylene Glycol, Aminomethyl Propanol, Lauryl Glucoside, Polyglyceryl-2 Dipolyhydroxystearate, Glycerin, Citric Acid, Iodopropynyl Butylcarbamate, Tocopherol, Tocopheryl Acetate.